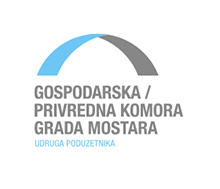 INTERA Technology Park Mostar together with co-organizers and partners (right) with support of the European Enterprise Network (EEN) is organizing International B2B meetings on the first day of Mostar Fair, April 10th 2018 starting at 15h on the first floor of Pavilion 1 (Mostar Fair headquarters). By the number of exhibitors and visitors, Mostar Fair is certainly the most successful business exhibition in Bosnia and Herzegovina. Over 350 exhibitors from the metal and construction industries, telecommunications and information technology, agrifood and service industries from banking to tourism, are traditionally represented on Mostar Fair in quality and assortment that is in line with global business needs. International B2B meetings Mostar 2018 at Mostar Fair are unique opportunity to find suppliers, customers, partners or just new business contacts that will open new business horizons in terms of cross-border cooperation with Bosnia & Herzegovina and the Western Balkans region. 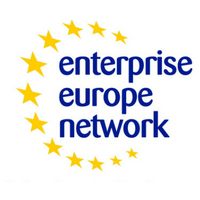 As a participants you will also have an opportunity to hear details about EU funding programmes (H2020 / SME Instrument) and about services for business development and internationalization offered by Enterprise Europe Network (EEN). These International B2B meetings make it easier and faster for you to find international partners at Mostar fair because they offer you the option of choosing potential partners according to your needs based on information about business partners and their interests. This eventually turns into a list of meetings that take place at the specific location and time. Each participant gets their own custom list of meetings at least one day before the B2B event itself. Participation in these B2B meetings is free of charge, and a confirmed registration is also a ticket to the Mostar Fair.